Maximize your Windows 10 Battery Life and Reduce your Device Performance, featuring X1 Carbon 2nd Gen. 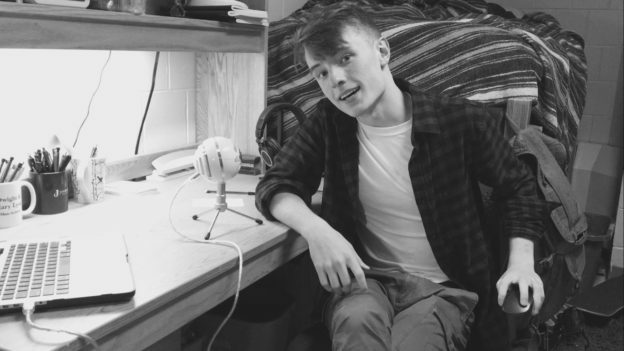 Recently I was preparing for a trip to a music festival while taking classes over the summer. I knew that I needed to keep up with my courses but I also knew that I wasn’t going to be able to charge my computer’s battery very often, so I decided to write a short article on how you can maximize your computer’s battery life beyond normal power-saving methods. After this guide you’ll be saving battery like nobody’s business and your laptop will be significantly less usable then before! Before we get started it’s important that you’re aware of my computer’s specs; depending on your computer’s specifications and application usage, results may vary. The make of my computer is Lenovo and the model is the X1 Carbon 2nd Gen.
Also note that the only application that I was using was Microsoft Edge – to save battery over using Google Chrome. 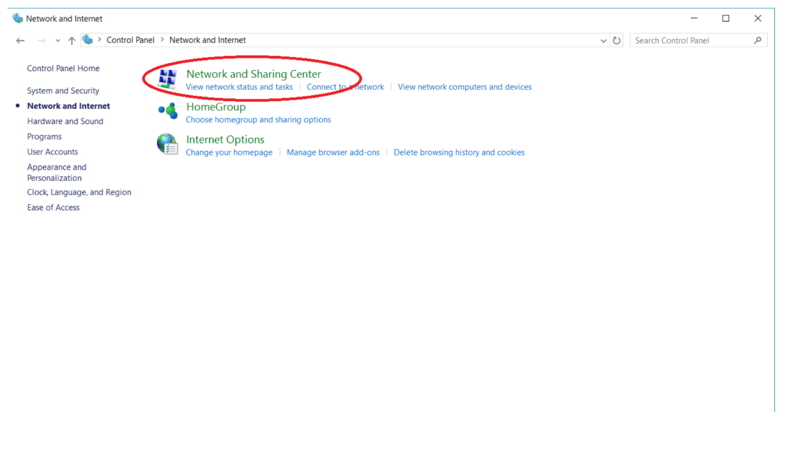 First head over to Device Manager (Note: you’ll require internet for this step). 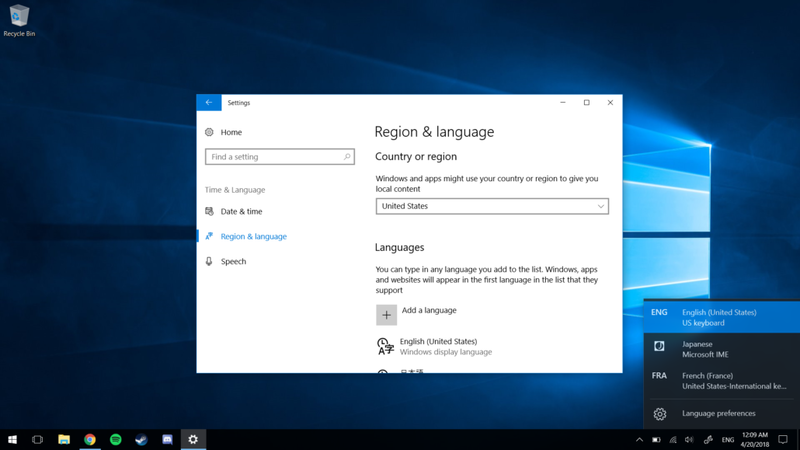 This can be accessed from the Windows Power User menu by pressing the Windows Key + X at the same time. From the Device Manager menu go through every device and make sure that the drivers for each device are up to date. This should ensure that all of your devices are using the best possible drivers that are more efficient for your system’s battery; out of date drivers can adversely affect your systems performance as well. While in Device Manager we’re also going to make a few more changes. Depending on how you use your machine, you may want to adjust these settings to your needs. 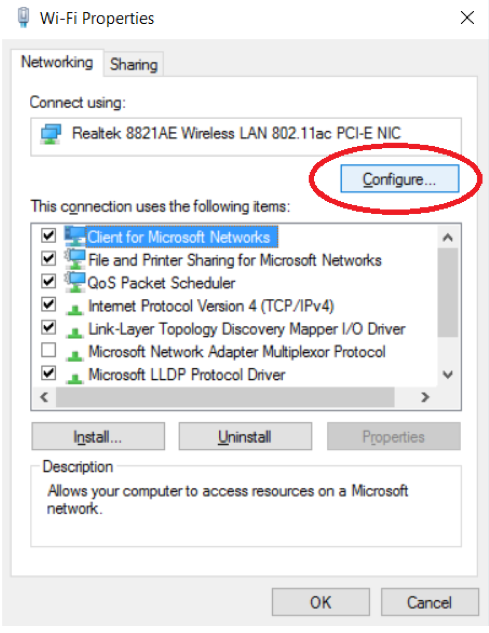 Click on the “Network adapters” drop down menu and double click on the Intel Dual Band Wireless-AC (this may be named differently depending on your device’s wireless card). Click over to the Advanced tab and change the “Preferred Band” to 5.2 GHz, “Roaming Aggressiveness” to a lower setting (lower is better unless in a congested wireless area). Now click over to the “Power Management” tab and make sure that the “Allow the computer to turn off this device to save power” is checked. 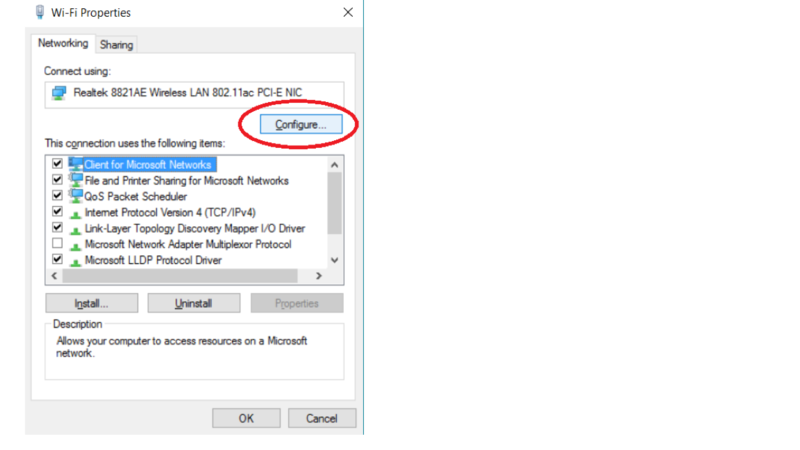 Click the “OK” button and move on to the “Intel Ethernet Connection I218-LM (also may be different on your device) and double click on this as well. 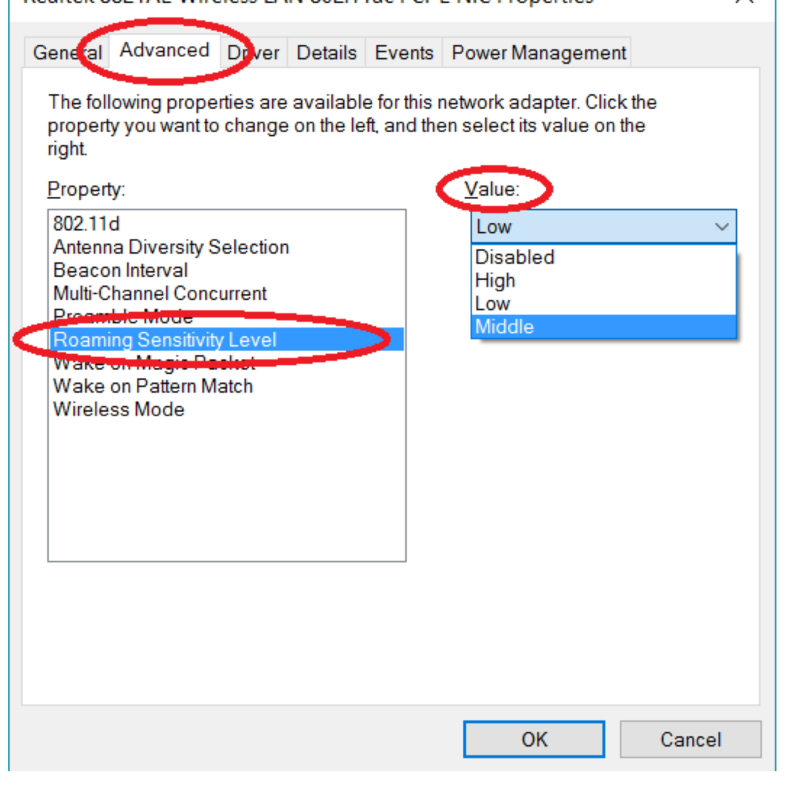 Make sure that “Enable PME” is set to enabled, “Energy Efficient Ethernet” is set to on and “System Idle Power Saver” is set to enabled. After that, navigate over to the “Power Management” tab and make sure again that the “Allow the computer to turn off this device to save power” is checked again. After going through your drivers, head over to the Power & Sleep settings for your laptop. 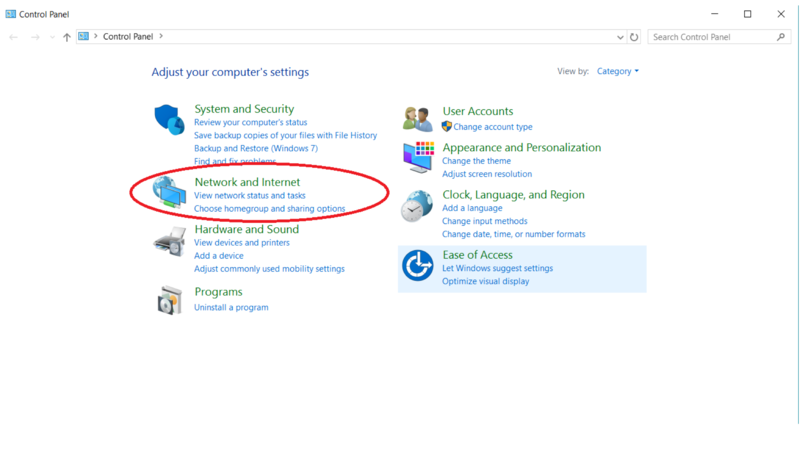 This can be accessed by pressing the Windows key, navigating to Settings -> System (Display notifications, apps, power) -> Power & Sleep. I’d recommend setting your Screen to turn off after at maximum of 5 minutes and setting your computer to Sleep after a maximum of 15 minutes. Then, navigate to the bottom of that page and click on Additional power settings. This will bring your to your computer’s Power Options. You may want to switch over to the Power saver plan, which should automatically drop your computer down to a more efficient battery saving mode, but we want to push that even further. Click on “Change plan settings” to make some changes. Consider changing “Adjust plan brightness” to the minimum usable brightness, as it’s one of the biggest aspects of battery saving. I however made sure that the computer’s brightness was always at minimum possible level was a must to keep my laptop alive.. Primarily I used the computer in the early morning or late at night so that I could keep the screen at the minimum brightness while still being able to use the laptop. After changing your brightness to the minimum, click on “Change advanced power settings”. Here’s where you can adjust the fine controls for different hardware and software’s battery usage. Make sure that the top drop down menu says “Power saver [Active]” and move on the the main table of items. I would recommend changing this to your own personal preferences but there are a few major aspects I would recommend adjusting in this panel. In “Desktop background settings” -> “Slide show” I would recommend setting this to paused while on battery power. In “Wireless Adapter Settings” -> “Power Saving Mode” switch this over to Maximum Power Saving on battery power as well. In “Sleep” -> “Sleep after” make sure these are set to the values you set earlier, around 5 and 15 respectively to On battery and Plugged in. Also in “Allow hybrid sleep” is set to off for both options, this is because hybrid sleep is more taxing on the battery. In “Hibernate after” set these to slightly higher values than your “Sleep after” values. This will allow your PC to conserve more battery than typical sleep. Also set “Allow wake timers” to disabled on battery power. We don’t want anything taking your laptop away from it’s beauty sleep. In “Intel CPPC Energy Efficiency Settings” -> “Enable Energy Efficient Optimization” and make this enabled for both options. Also in “Energy Efficiency Aggressiveness” and set both options to 100%. In “USB settings” -> “USB selective suspend setting” set both of these options to enabled. In “Intel Graphics Settings” -> “Intel Graphics Power Plan” set both of these options to maximum battery life. In “PCI Express” -> “Link State Power Management” set both of these options to Maximum power savings. In “Processor power management” -> “Minimum processor state” set both options to 5%. This is the minimum percentage that your processor will run at. I wouldn’t recommend setting this to below 5% for minimum operation. Also in “System cooling policy” change both options to Passive cooling, which will slow your CPU before slowing your fans. Also in “Maximum processor state” set this to below 100%. I personally set my computer to a maximum of 50%, but depending on your use case, this will vary. In “Display” most of these setting we’ve already touched earlier, but in “Enable adaptive brightness” and disable this setting. We don’t want the system to decide it wants a brighter screen and eat up valuable battery resources. In “Battery” I would recommend just making sure that hibernation comes on in your “Critical battery action” settings and that your critical battery level is set to around 7%. A couple additional changes that I made is to upscale the resolution on the computer so that it’s not having to display content in native 2K on the X1’s screen. This depends on the machine that you are using however, and your preference of how you want your machine’s screen to look. 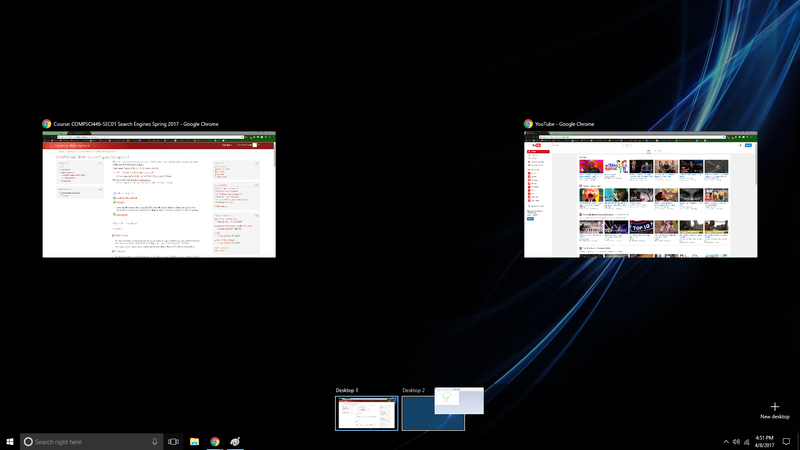 Now there are a few things left to be changed, if I haven’t missed anything in Windows 10. For these you’ll want to shut down your computer and enter its BIOS settings. 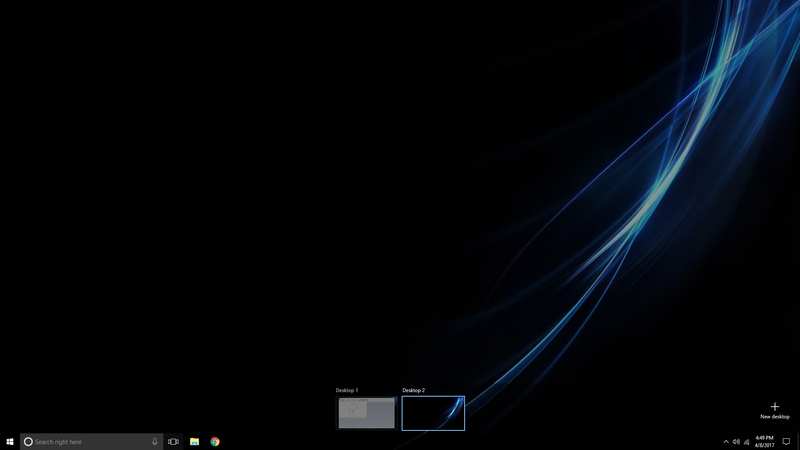 On the X1 Carbon that I was using, this is done by hitting Enter repeatedly after hitting the power button. In the BIOS I was working with, it doesn’t recognize mouse or trackpad input, so you’ll likely have to navigate with arrow keys, enter and escape; bear with me. Navigate over to the “Config” tab and down arrow down to the “> USB option”. Make sure that the “USB UEFI BIOS Support” is enabled, “Always on USB” is disabled, and “USB 3.0 Mode” is set to auto. Now hit escape and down arrow down to the “> Power” option. Hit enter and I would recommend switching all of the settings over to battery optimized settings. For this X1 specifically, make sure that “Intel SpeedStep technology” is set to Enabled, “Mode for AC” is set to battery optimized, “Mode for Battery” is set to battery optimized. Also, make sure to switch the settings under “Adaptive Thermal Management”, “Scheme for AC” is set to balanced and “Scheme for Battery” is set to balanced. Now under “CPU Power Management”, make sure this is set to enabled, and make sure that “Intel Rapid Start Technology” is set to disabled. After modifying all these settings, hit escape again. Depending on your personal use, you can head over to the “> Virtualization” settings and disable the Intel Virtualization and VT-d features, although this may adversely affect performance and prevent operating system virtualization entirely, so use at your discretion. Thanks for bearing with me until now. Now you should have a remarkably effective battery-saving laptop that performs significantly worse than it did before. This worked out great for me working on course assignments while on a camping trip. I hope this works out well for you as well! This entry was posted in Operating System, Windows on October 20, 2017 by Samuel Poza. To understand what roaming is, you first have to know what device makes the software function necessary. If you are only used to household internet setups, the idea of roaming might be a little strange to think about. In your house you have your router, which you connect to, and that’s all you need to do. You may have the option of choosing between 2.4GHz and 5GHz channels, however that’s as complicated as it can get. Now imagine that your house is very large, let’s say the size of UMass Amherst. 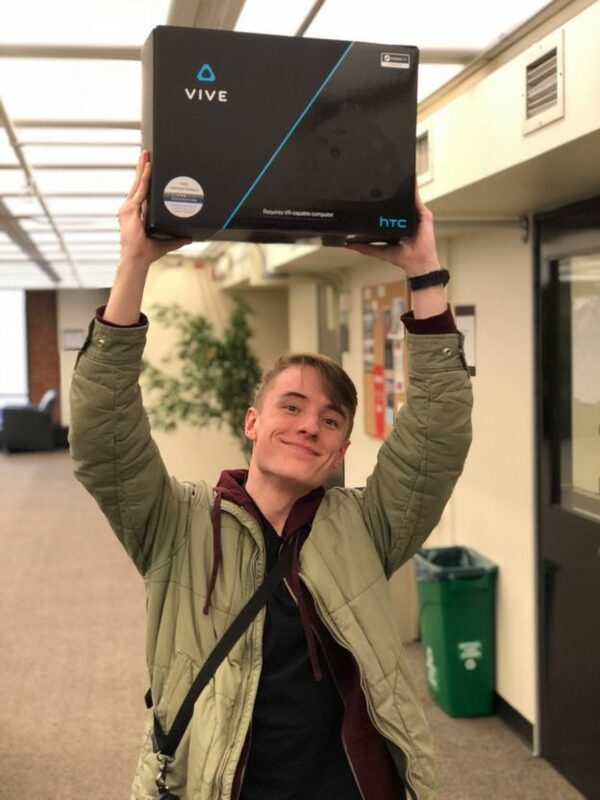 Now, from your router in your living room, the DuBois Library, it might be a little difficult to connect to from all the way up in your bedroom on Orchard Hill. Obviously in this situation, the one router will never suffice, and so a new component is needed. 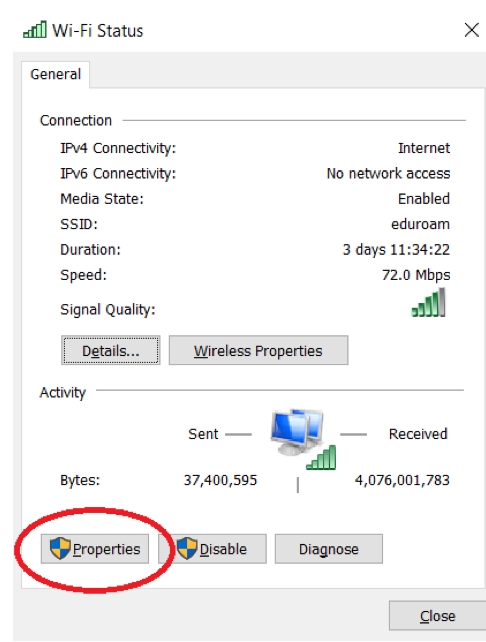 An Access Point (AP for short) provides essentially the same function as a router, except that multiple APs used in conjunction project a Wi-Fi network further than a single router ever could. All APs are tied back to a central hub, which you can think of as a very large, powerful modem, which provides the internet signal via cable from the Internet Service Provider (ISP) out to the APs, and then in turn to your device. So now that you have your network set up with your central hub in DuBois (your living room), and have an AP in your bedroom (Orchard Hill), what happens if you want to go between the two? 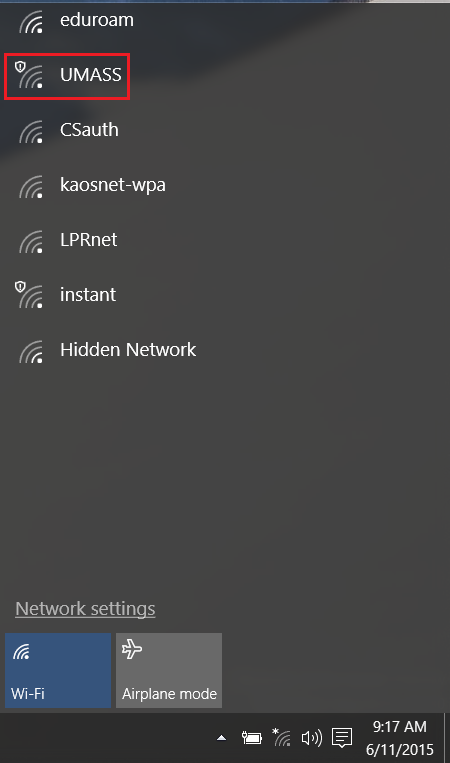 The network is the same, but how is your computer supposed to know that the AP in Orchard Hill is not the strongest signal when you’re in DuBois. This is where roaming comes in. 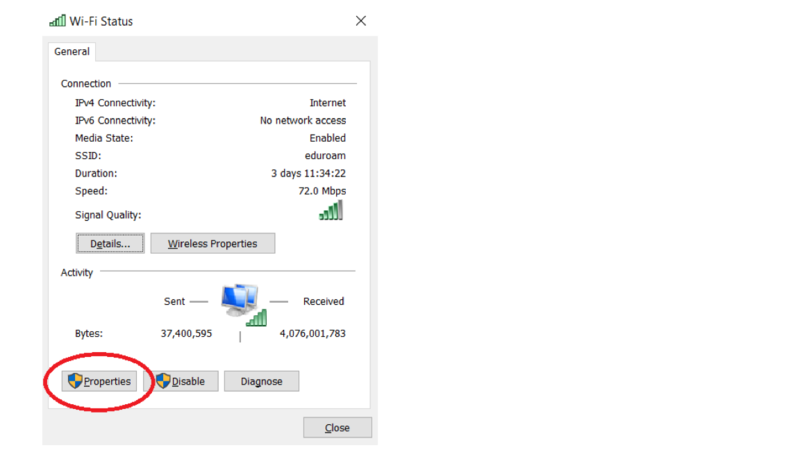 Based on what ‘aggressiveness’ your WiFi card is set to roam at, your computer will test the connection to determine which AP has the strongest signal based on your location, and then connect to it. The network is set up such that it can tell the computer that all the APs are on the same network, and allow your computer to transfer your connection without making you input your credentials every time you move. 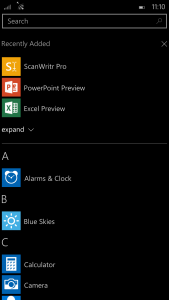 First, navigate to the Control Panel which can be found in your Start menu. Then click on Network and Internet. 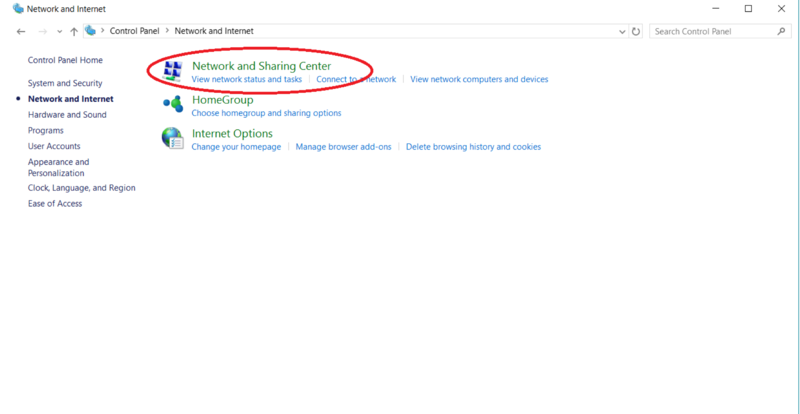 From there, click on Network and Sharing Center. Then, you want to select Wi-Fi next to Connections. 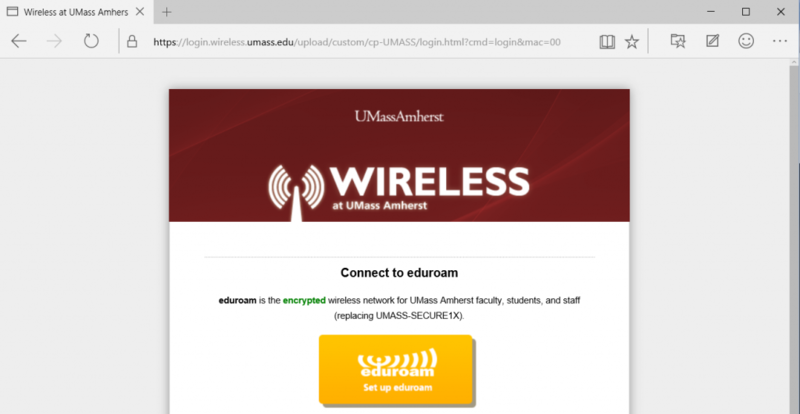 Note: You may not have eduroam listed next to Wi-Fi if you are not connected or connected to a different network. Now, select Properties and agree to continue when prompted for Administrator permissions. After selecting Configure for your wireless card (your card will differ with your device from the one shown in the image above). 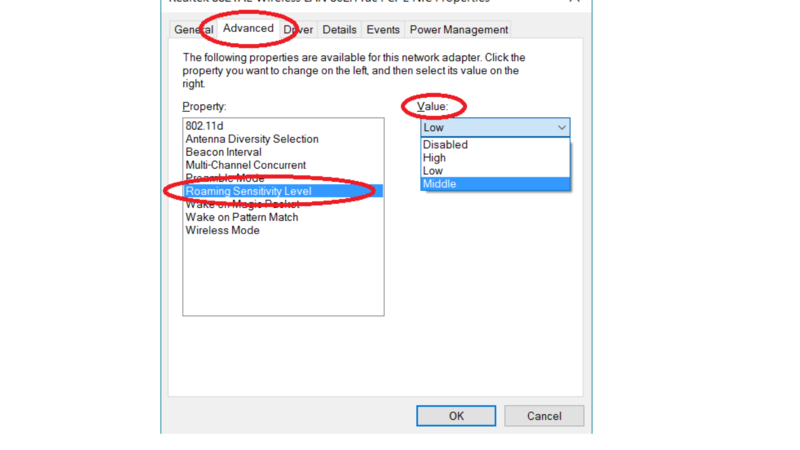 Finally, navigate to Advanced, and then under Property select Roaming Sensitivity Level. From there you can change the Value based on what issue you are trying to address. And that’s all there is to it! Now that you know how to navigate to the Roaming settings, you can experiment a little to find what works best for you. 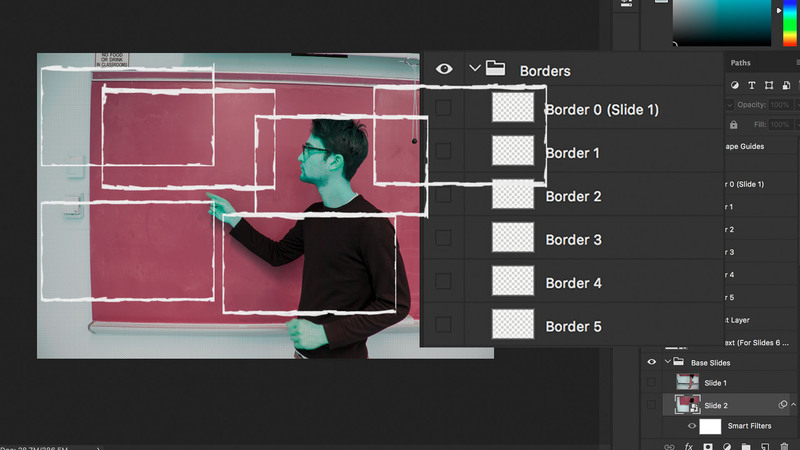 Depending on your model of computer, you may have more than just High, Middle, Low values. Changing roaming aggressiveness can be helpful for stationary devices, like desktops, too. Perhaps someone near you has violated UMass’ wireless airspace policy and set up and hotspot network or a wireless printer. Their setup may interfere with the AP closest to you, and normally, it could cause packet loss, or latency (ping) spiking. You may not even be able to connect for a brief time. 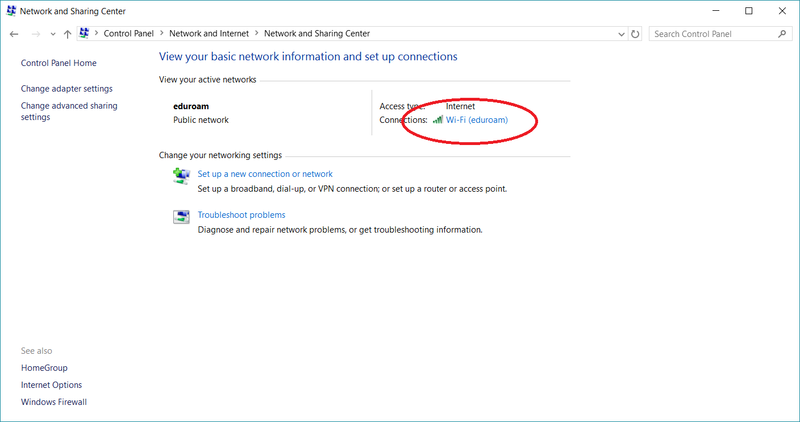 Changing roaming settings can help your computer move to the next best AP while the interference is occurring, resulting in a more continuous experience for you. This entry was posted in Hardware, Hotfix, Operating System, Windows on October 17, 2017 by Julien Olsen. Have you ever thought your computer might be dying but you don’t know what? Symptoms that people might be familiar with may include slowing down, increased startup time, programs freezing, constant disk usage, and audible clicking. While these symptoms may happen to a lot of people, they don’t necessarily mean the hard drive is circling the drain. With a practically unlimited number of other things that could make the computer slow down and become unusable, how are you supposed to find out exactly what the problem is? Fortunately, the most common part to fail in a computer, the hard drive (or data drive), has a built-in testing technology that even users can use to diagnose their machines without handing over big bucks to a computer repair store or having to buy an entire new computer if their computer is out of warranty. Enter SMART (Self-Monitoring, Analysis and Reporting Technology). SMART is a monitoring suite that checks computer drives for a list of parameters that would indicate drive failure. SMART collects and stores data about the drive including errors, failures, times to spin up, reallocated sectors, and read/write abilities. While many of these attributes may be confusing in definition and even more confusing in their recorded numerical values, SMART software can predict a drive failure and even notify the user of the computer that the software has detected a failing drive. 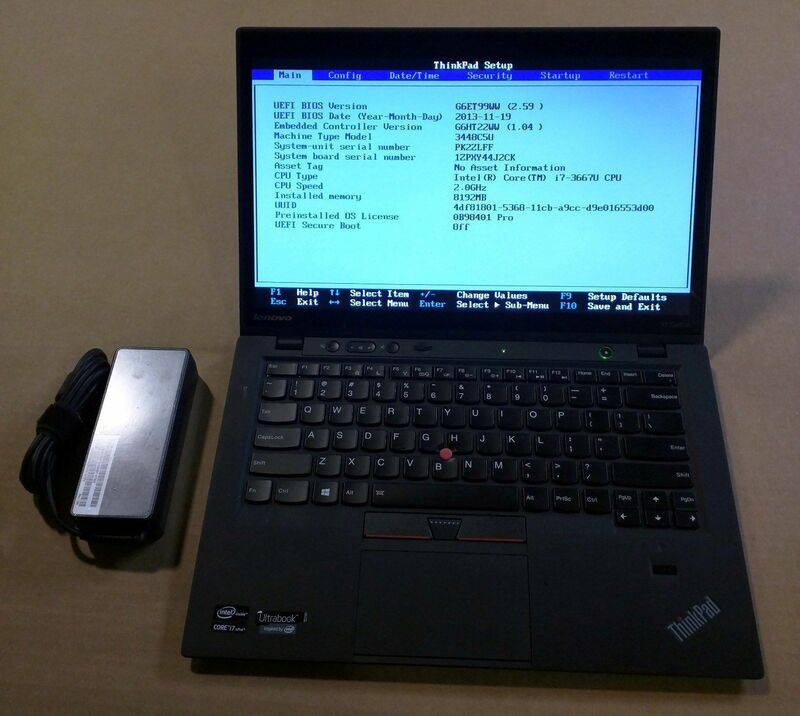 The user can then look at the results to verify, or in unsure, bring to a computer repair store for a verification and drive replacement. So how does one get access to SMART? Many computers include built in diagnostic suites that can be accessed via a boot option when the computer first turns on. Others manufacturers require that you download an application without your operating system that can run a diagnostic test. These diagnostic suites will usually check the SMART status, and if the drive is in fact failing, the diagnostic suite will report a drive is failing or has failed. However, most of these manufacturer diagnostics will simply only say passed or failed, if you want access to the specific SMART data you will have to use a Windows program such as CrystalDiskInfo, a Linux program such as GSmartControl, or SMART Utility for Mac OS. These SMART monitoring programs are intelligent enough to detect when a drive is failing, to give you ample time to back up your data. 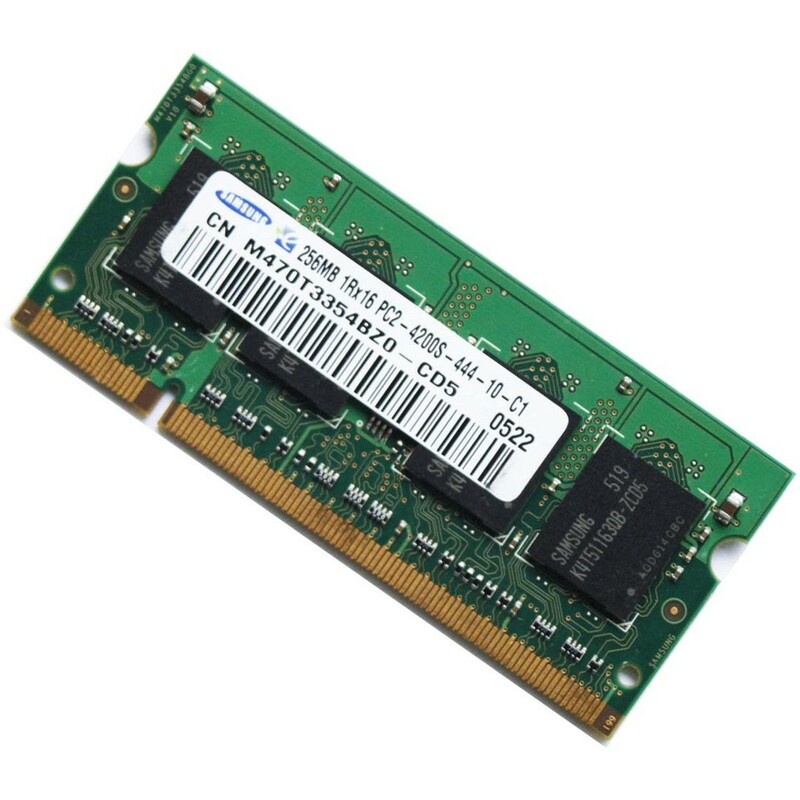 Remember, computer parts can always be replaced, lost data is lost forever. However, it should be noted that SMART doesn’t always detect when a drive fails. If a drive suffers a catastrophic failure like a physical drop or water damage while on SMART cannot predict these and the manufacturer is not at fault. Therefore, while SMART is best to be used as a tool to assess whether a drive is healthy or not, it is used most strongly in tandem with a good reliable backup system and not as a standalone protection against data failure. This entry was posted in Hardware, Linux, Mac OSX, Operating System, Windows on September 22, 2017 by thampson. Your computer won’t boot…now what? 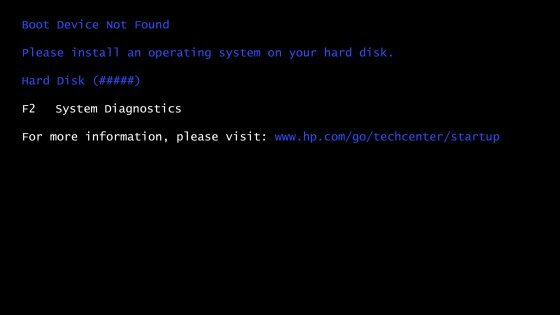 When diagnosing issues where your computer won’t boot, there are a few different diagnostic tests that you can run to determine what is causing the issue. 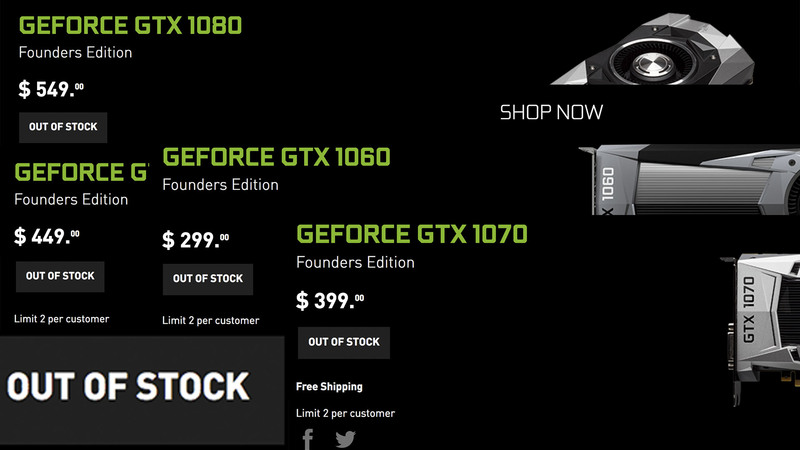 These can vary depending on what kind of computer you have. For all manufacturers, the first step is determining whether or not the computer turns on. With laptops, check whether or not any lights come on. If it is unplugged, try making sure the battery is seated correctly and plugging it into the power adapter (be sure to use a known-good wall outlet). If none of these work, the most likely cause is failure of the main logic board. If your computer does turn on at all, this could mean there is a hardware failure. Usually if the computer doesn’t turn on at all this means there is some kind of power failure. It could be as simple as your battery dying, which can be solved by charging the laptop with a known good power adapter. On the other hand, this could also be caused by a motherboard that has failed. Regardless of what happens when you try to turn on your computer though, there is always a solution to fix any problems that might happen. Determining where the point of failure is can be the difficult part. Once you know that, it’s much easier to make a decision about fixing the computer. This entry was posted in Hardware, Mac OSX, Operating System, Windows on July 20, 2016 by elmaryea. A couple of months back, I wrote about my jump to a Windows Phone. I haven’t regretted that jump, nor have I been lured away by the wiles of the sleek iPhone or the omnipresent Android. 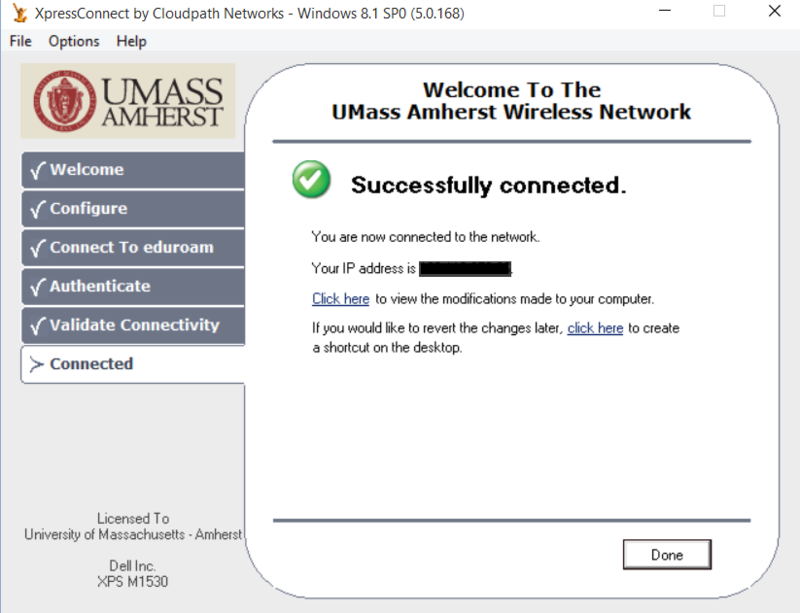 Outside of the occasional frustration with the lack of an app here or there, and the inability to connect to the campus eduroam (I can still connect to the regular UMass network perfectly fine), my experience with using a Windows Phone has been great. But even as I started my journey with a Windows Phone only half a year ago, the platform is already evolving in a big way. During the development of Windows 10, Microsoft has had a new ideal in mind: The unification of its desktop/laptop, tablet, and mobile systems into a single operating system, able to morph between the three architectures with ease. Although Microsoft’s biggest share in these three architectures lies in the desktop/laptop market, it hopes that the unified system will draw people to the Windows versions of the tablet and mobile architectures. Convenience is the key for Microsoft, the hope that people will decide, “Hey, I use a laptop with Windows 10, and a Surface Pro with Windows 10, maybe I should get a Windows Phone to sync everything together?” This is where Windows Phone’s next advancement comes into play. While the desktop version of Windows 10 has been in development, so has the mobile version, in order to truly make this goal of a unified and cohesive operating system come to life. And that brings me to why I’m writing this article. We’ve tested and talked about the Windows 10 desktop preview builds, but not yet about the mobile preview builds. Without further ado, let’s get started on my exploration of the next evolution of Windows Phone, Windows 10 Mobile, or at least the latest preview build, which at the time of this article is build 10149. Let’s start off with a warning. Testing preview builds on a phone is always risky, because of the fact that unlike testing them out on a desktop, sometimes issues can arise which can lead to your phone being unable to call or text, or in the worst case, being completely bricked. Unfortunately for me, the combination of not having a secondary phone to test preview builds on, and an unrelenting curiosity, led me to install the latest build on my main phone. The installation process was simple enough, I just had to install the Windows Insider app and let it download and install the latest Windows 10 mobile preview build. After the phone restarted, I watched the animated gears turn away for what seemed like an eternity, but in reality maybe a half an hour. Eventually however, everything finished and I saw Windows 10 Mobile for the first time. Let’s dive into what I saw, and what my experience was like. I haven’t tested out the earlier preview builds of Windows 10 Mobile, but from the reviews I had read, they weren’t exactly the most stable. Some of them had rare, but phone-breaking bugs that would scare away regular beta testers due to the risk you’d be taking by installing the build on your phone. Bugs were galore, crashes happened everywhere, and sometimes you were barely able to even install the build! This build however, it seems things have gotten a lot better. Right after I first installed the build, I made sure to reset my phone so that I wouldn’t have any lingering issues due to upgrading from 8.1, and it’d pretty much be a fresh installation (similar to how you’d reinstall a desktop preview build from an ISO to have a clean, fresh start). I’m happy to say that in my couple of days of using it so far, I haven’t run into any major issues. Unlike some previous builds, there haven’t been any unexpected total phone crashes or restarts. Apps generally run pretty smoothly, although there are places where errors will popup, or areas are unfinished (that’s to be expected of a preview build anyways). This build also runs quite fast in most places, and in some ways, it seems even faster than the old Windows Phone 8.1. Overall, I would definitely say that the stability of this build is quite good, and outside of the occasional crash of an app, things are looking very good! I’ll be honest about this; It’s generally been quite atrocious. The phone that would normally last over a day on a single charge now lasts a couple of hours at max. Digging into this issue a bit has led me to believe that it might be caused by the beta Store app, so clearly this is something that needs to get worked on for the future. As a side note, I will add that I’ve been running the phone today after restarting it, and the battery usages appears normal (I haven’t opened up the beta Store app at all). 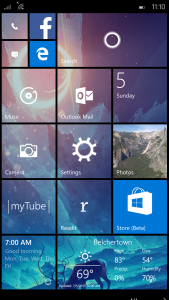 Although many in the Windows Phone community have argued that the changes to appearance are getting rid of some of Windows Phone’s stylistic identity (like the three dot pivot style), and replacing them with visuals you’d see on more popular operating systems (like the hamburger menu), I think that so far, the changes have been quite good. 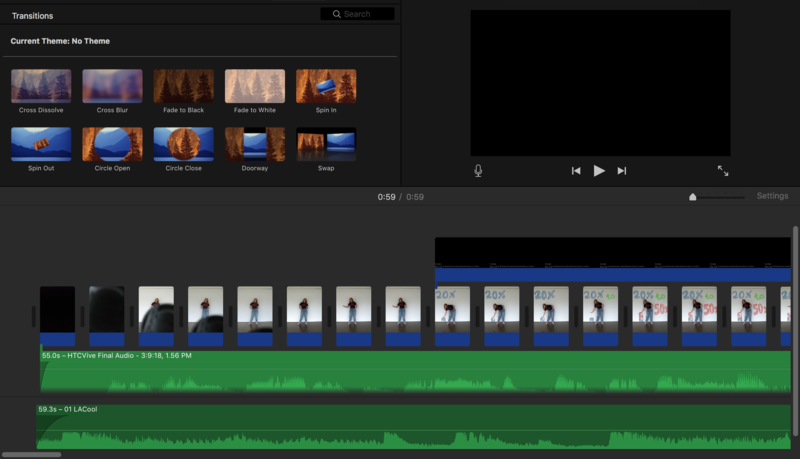 The new animations are generally quite fluid, and the overall operating system, in my opinion, looks sleeker than 8.1. The only big gripe I have with the appearance at the moment –which is actually a bug– is that the bottom bar of apps, which should normally have the same accent color as the rest of the phone, has a completely different color. 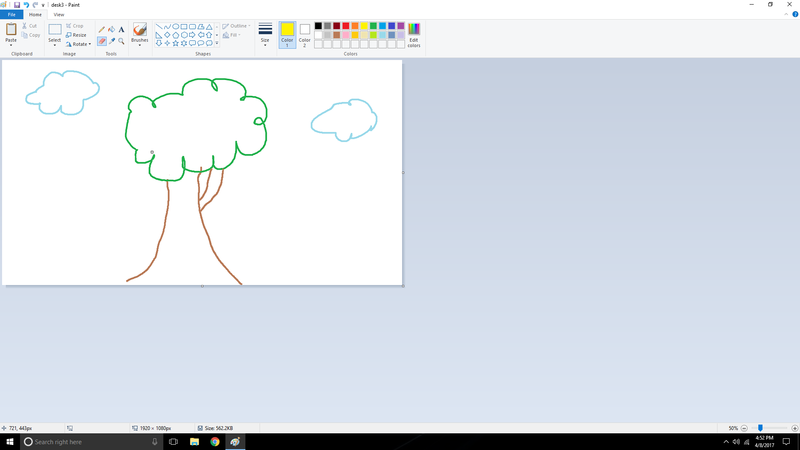 My current start screen in this preview build. The new and improved “All Apps” page! 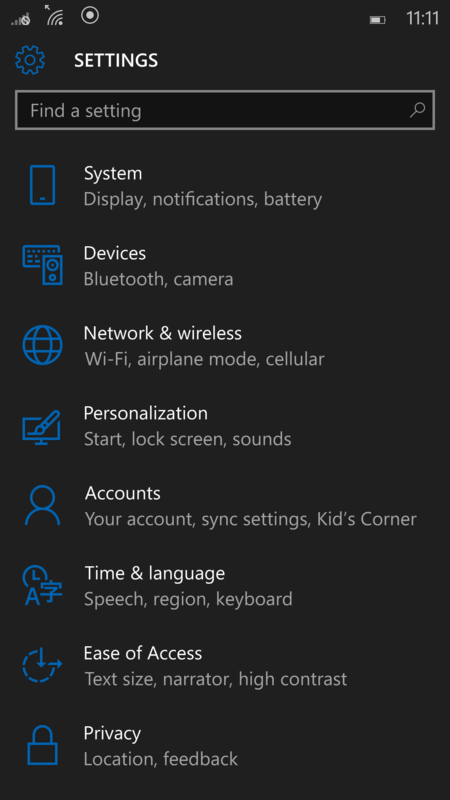 The way, way, new and improved Settings screen. 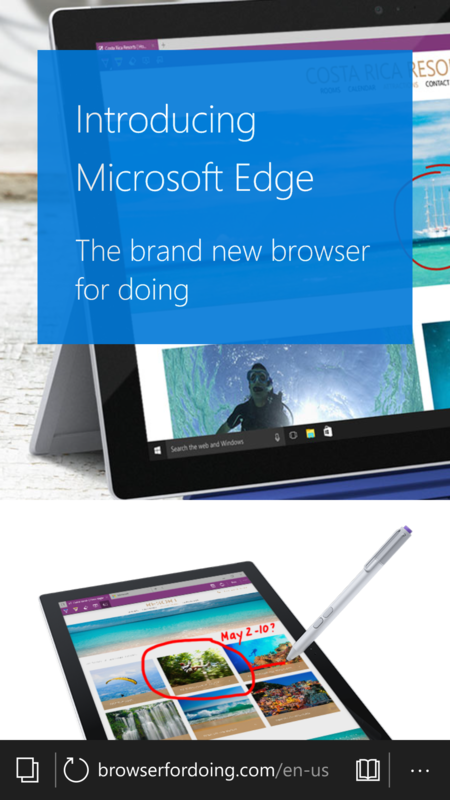 A glance at the new Microsoft browser, Edge! 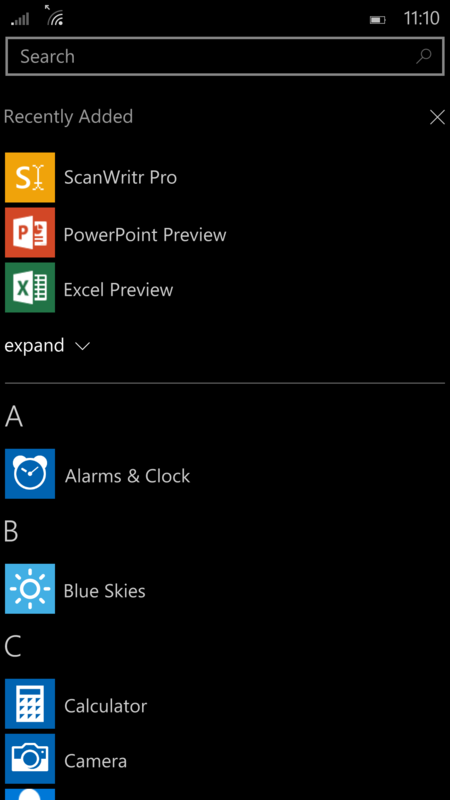 This preview build also comes with several revamped apps from Windows Phone 8.1. The most notable of changes, and one that carries over to the desktop builds as well, is the introduction of Microsoft Edge. Project Spartan is officially dead, and from its ashes has arisen Edge. For those who haven’t been keeping up to date with some of the changes occurring in the preview builds, both mobile and desktop, Microsoft has ditched Internet Explorer and created an entirely new web browser to better embrace modern web standards and compete with the likes of Google Chrome and Firefox. The desktop version of Edge is already quite good, but what about the mobile version? Well, I’m happy to say that it is also shaping up nicely. There are still issues with some websites not rendering correctly, and there are a couple of annoying visual glitches in the browser itself, but overall, it looks and functions quite well. The next most notable app change comes with the new Music app. If you’ve ever used the default Xbox Music app on Windows Phone 8.1, you know it’s not the best. 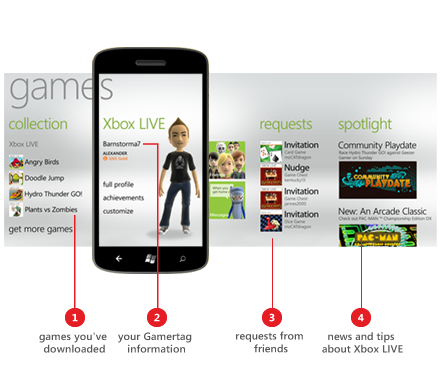 It doesn’t offer many features, doesn’t look that great, the live tile is an ugly green color, among other things. The new Music app is a world of difference. There is a hamburger menu, yes, but the entire app just looks and feels so much better to use. I personally love using this app to browse and listen to music. However this isn’t the only app that’s been redesigned for the better. The Calendar app has also been improved to look much more sleek and streamlined. I also have to add that all of these apps carry a unified visual style, so when you’re switching between them, it doesn’t feel like you truly are, which is pretty cool. As great as they look however, they still can feel sluggish sometimes on my Lumia 930, which is currently one of the higher end spec’d Windows Phones. The beta Store app especially needs work; there are apps that give errors while attempting to update through it, and it causes a massive drain on battery life when using it. Overall, I definitely like the direction they’ve taken the apps, and I’m not as attached to the old pivot menu as other people to disagree too much with the direction. My experience with this preview build has been pretty good overall. There are still a few issues with battery drain with some apps, the occasional crash of an app here and there, and a couple of visual glitches. 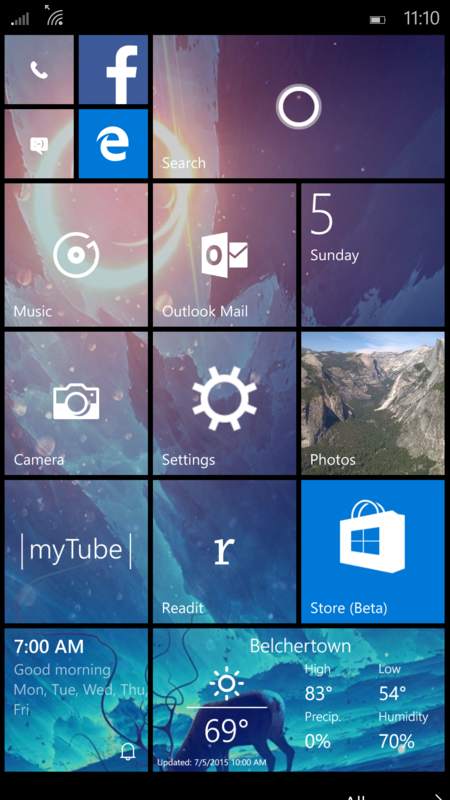 Beyond those problems however, I think that the direction that Windows Mobile 10 is going is a good one. It has a nice blend of the traditional identity of Windows Phone with the more popular stylistic choices adopted on other phones. 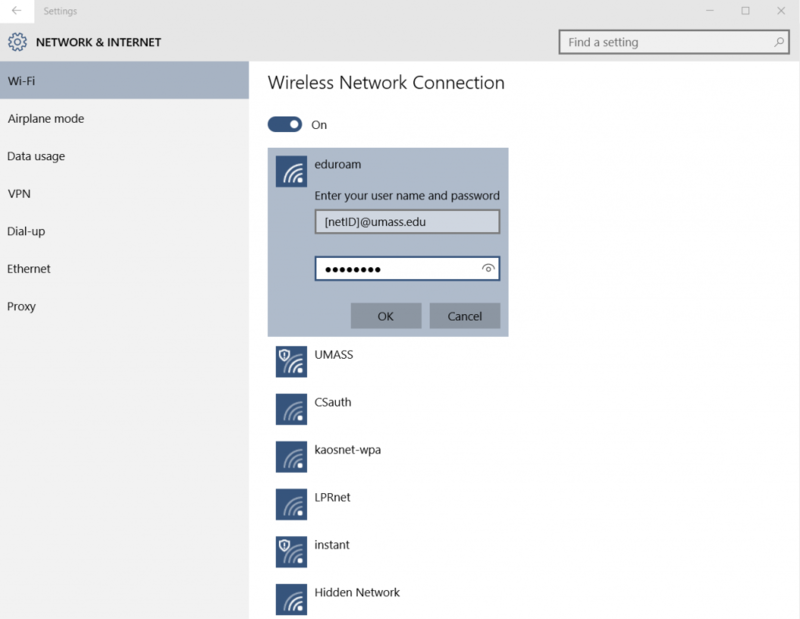 Oh, and let me emphasize again to Microsoft that eduroam still doesn’t work on Windows Phones. 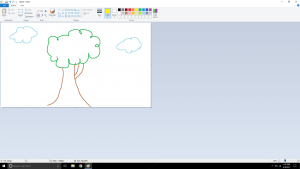 This entry was posted in Operating System, Windows and tagged windows, Windows Phone, Windows10, WindowsMobile on July 8, 2015 by cwijesundara. 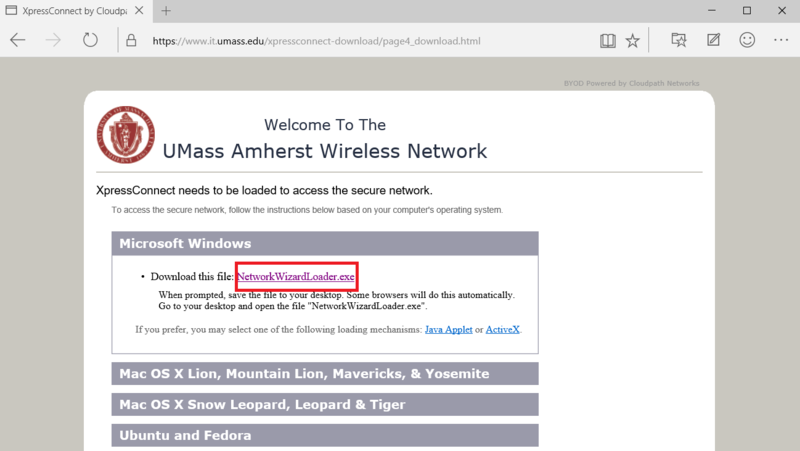 While at UMass, you might come across a point where you will need to use specialized software that can only be used on a Windows PC. This is fine if you have a Windows computer, however this leaves people who own a Mac at a clear disadvantage. So what do you do if you have a Mac computer? A commonly used solution to this situation is BootCamp Assistant. BootCamp Assistant is a built in function in the Mac operating system that allows Mac users to install Windows alongside their OSX operating system. This program can either be found by searching “bootcamp” in spotlight, or by going to the application folder in finder, where BootCamp can be found in the utilities folder. BootCamp works by sectioning off an certain amount of used space in your hard-drive in order to make a full installation of Windows. This process is limited by the specs of your computer and the operating system version. Below you can find the minimal requirements needed to run BootCamp. Also you can find a list of BootCamp versions needed to install the specific windows operating system that you need. **Side note: Before you start installing Windows on your computer, you need to make sure that you computer is up to date using Software Update. Also use the chart on this page to download updates for your Boot Camp. This update is based on the model of your computer, and some models are limited to their updates because of their specs. It may also be necessary to upgrade you computer to the latest version of OSX. A common misconception about BootCamp is that it provides a windows operating system to install. This is not true. BootCamp will provide drivers and updates for your Windows operating system, however it will not provide the media to install the Windows operating system. It must be provided by the user. This can either be done by purchasing the product online or through Microsoft. 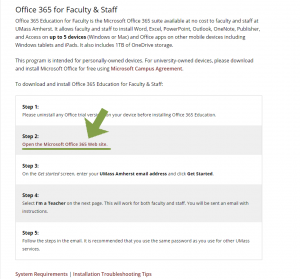 However if you are are either faculty, staff, or student at UMass there are some options that may be available to you for a discounted version of Windows operating system. 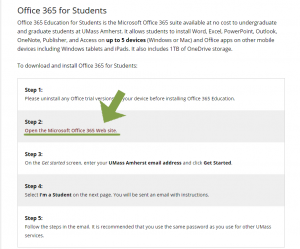 If you are Faculty or Student either teaching or taking a course within STEM Departments, then you are entitled to a free download of Microsoft operating systems using Microsoft Dreamspark. More information about Dreamspark and STEM qualitfications can be found here. 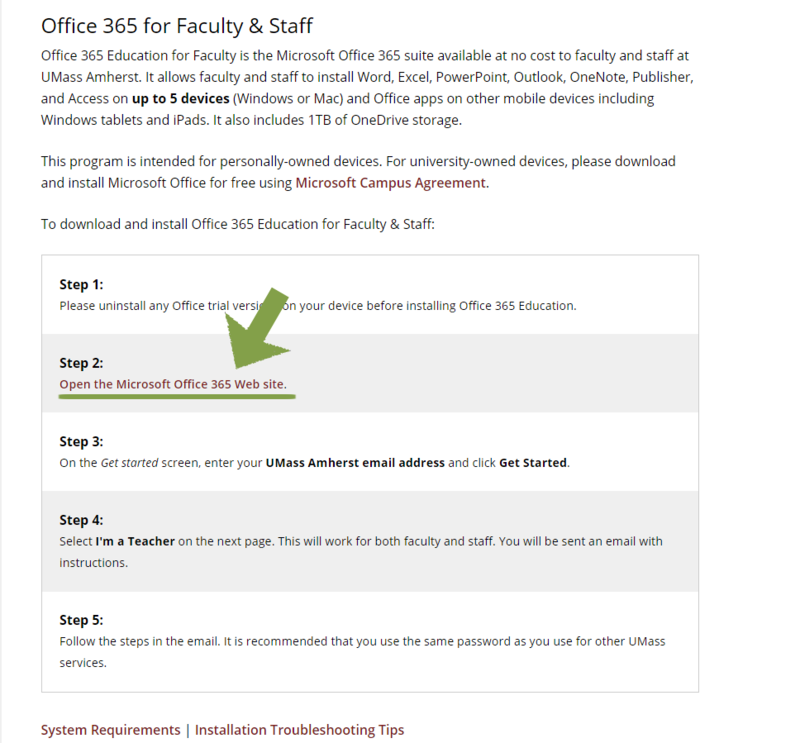 If you are Faculty and Staff, there is a alternative way of purchasing Microsoft products at a discounts by using the university Microsoft Campus Agreement. Information about the Microsoft Campus agreement can be found here. 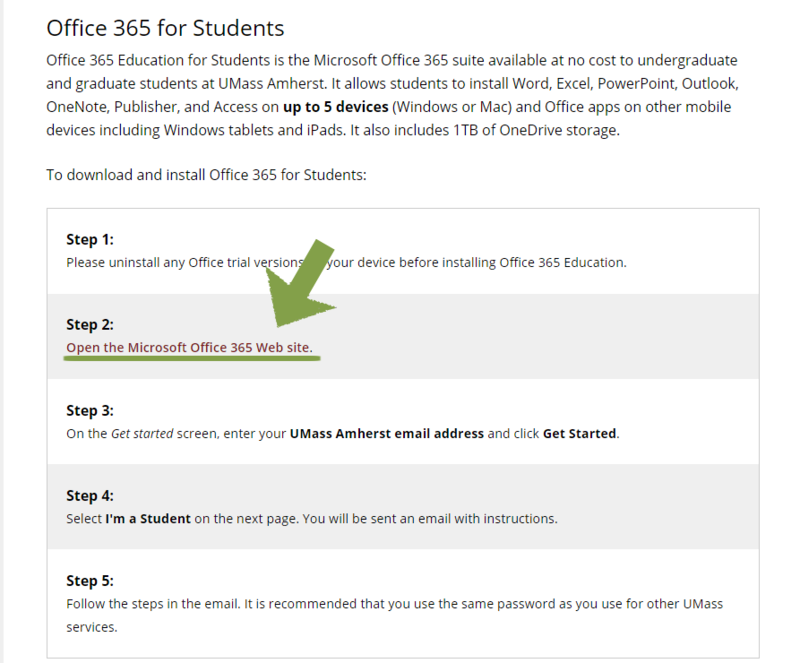 Finally there is the Microsoft Through Gov Connection, which is open to all student, faculty and staff, and allows you to easily purchase copies of Microsoft products. It often gives discounts to many of the products. Click here for more information. Please use the youtube video below for a step by step tutorial for using BootCamp Assistant for installing Windows 7 or 8 on your Mac Device. If you have any trouble or questions, try the links in the troubleshoot question for some answers to some frequently asked questions. This entry was posted in Mac OSX, Operating System, Windows and tagged Bootcamp, Dual Boot, ISO, Operating System, OSX, windows on June 3, 2015 by tprifti. PortableApps: Your workspace to go! PortableApps is a platform software that allows you to practically bring your workspace almost anywhere. You can install it on any USB storage device, computer, or even a cloud service such as Dropbox. 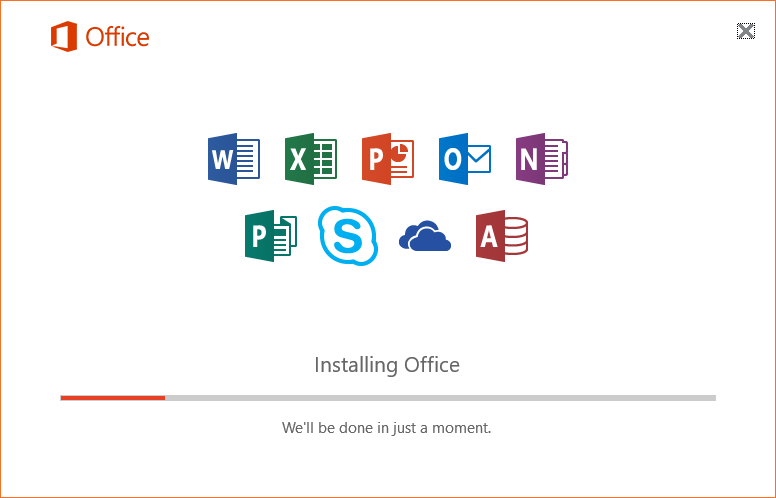 You then install portable versions of the some of the everyday applications you would normally see installed a computer such as LibreOffice and Firefox. What makes these applications portable is the fact that they don’t modify or leave any data and settings on the host computer but instead saves them only in the location where PortableApps is installed. PortableApps has over 300 portable applications to choose from ranging from office suites to games to antivirus softwares. 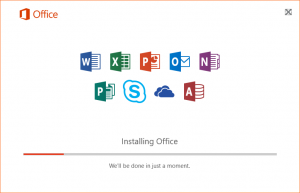 Though not every application that we commonly use is available (for example, Microsoft Office). However there are alternatives you could use in their place (such as LibreOffice). 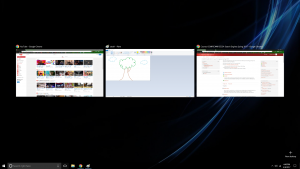 When you run PortableApps, you are greeted with a display much like the Windows start menu to the bottom right of the screen. From here, you can launch, install, and update your portable applications. You can even see how much space you have left if you install it on your USB storage device and explore the content of your USB storage device with a click of a button. With PortableApps installed on a USB drive, You can bring your personalized data to any computer. For example, you can browse the internet on a public computer, or on your friend’s computer without leaving your bookmark or history on the computer. 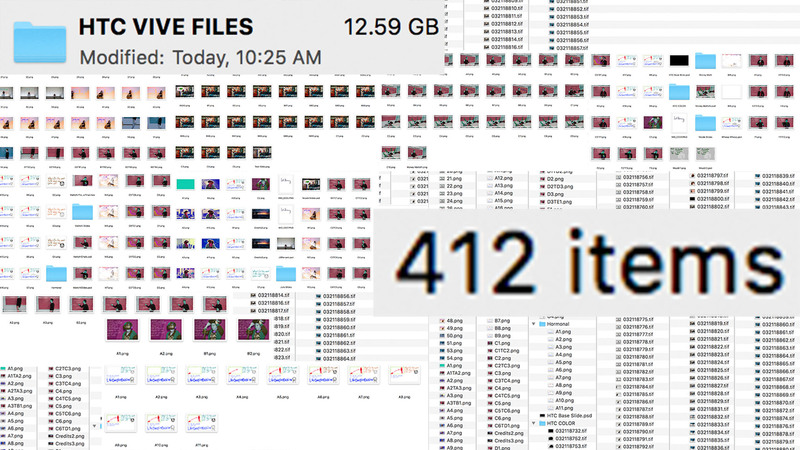 All of it will be saved on your USB drive so you can take your bookmarks, extensions, and addons anywhere you go. If your browser saves your tabs before it closes then those are saved as well. For a computer tech, you can also load a bundle of tools to diagnose and fix a wide variety of computer problems, including virus infections, all organized and just a click away using PortableApps. 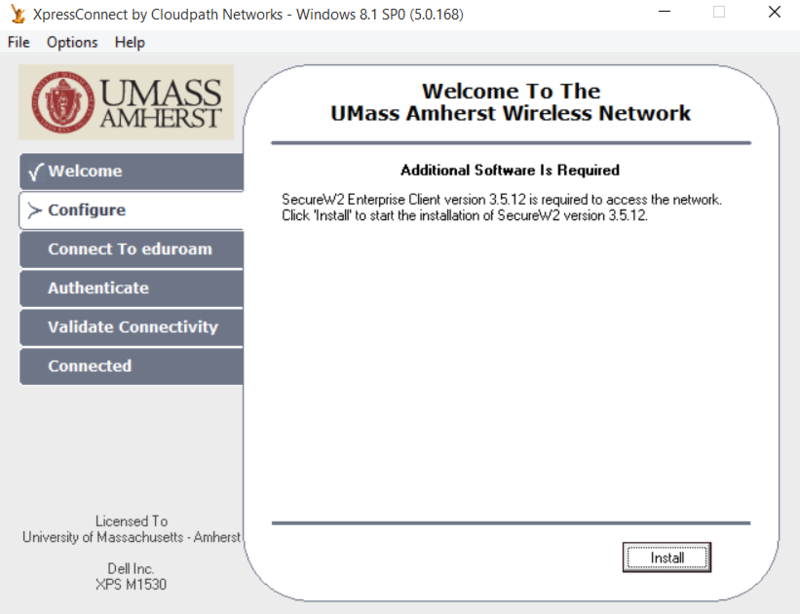 Using PortableApps also mean being able to use programs you need that typically would not be installed on other computers since the program is installed on your USB drive. An example for computer science major is PuTTY. Most public computers typically don’t come with PuTTY installed but with PortableApps, you can load PuTTY along with its saved connections. PortableApps can be useful even in cloud services that sync your data between your devices. 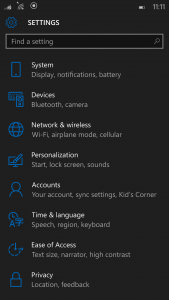 Whenever a computer changes the settings for a program, the cloud will sync the settings to your other devices. 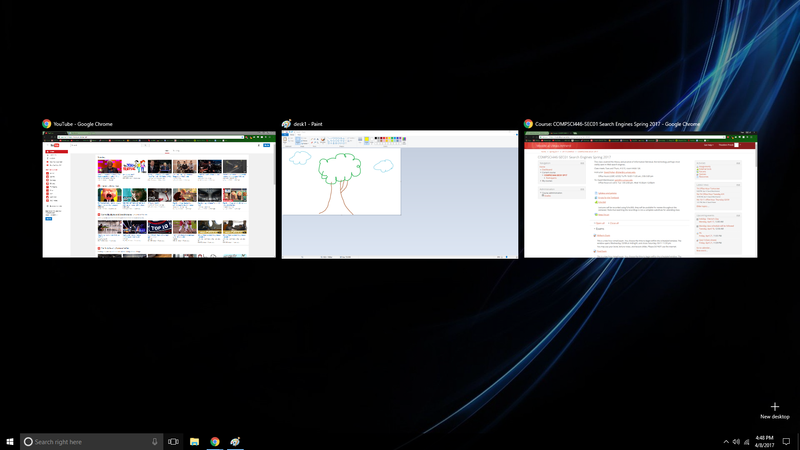 For example with Firefox or Chrome, your bookmark, history, and extensions are saved and synced between all your devices. Or even when starting fresh after wiping your computer or buying a new computer, all you have to do is grab your files from the cloud service and you’ll have applications ready to use and already configured to your liking. PortableApps can easily update all your programs ensuring that your programs are up to date across all your devices and reduces the redundant task of updating each program for each of your devices. 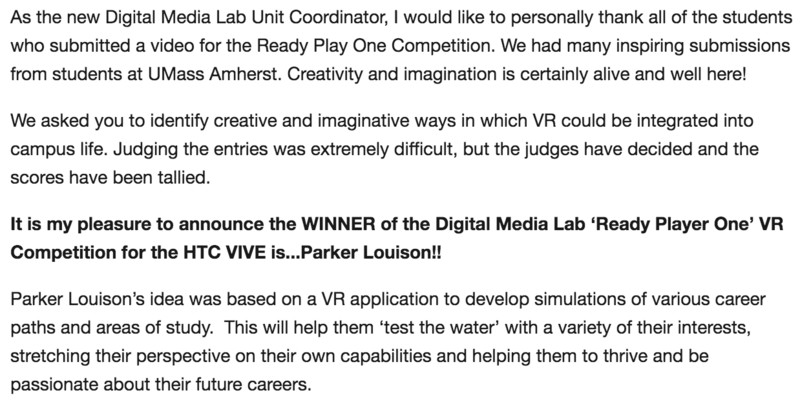 This entry was posted in Software, Windows and tagged Cloud Storage, Mobile Apps, PortableApps on April 24, 2015 by pcho. As you may be aware, it was recently revealed that many Lenovo computers shipped between October 2014 and December 2014 were pre-loaded with a piece of AdWare called “Superfish.” In addition to being annoying, Superfish introduces a serious security hole in the way your computer uses HTTPS on the internet. It’s gotten bad enough that the Department of Homeland Security had to advise people to remove the software. Lenovo has since gone on full damage-control, and is no longer shipping computers with Superfish pre-installed. The following is everything you need to know about this piece of AdWare. 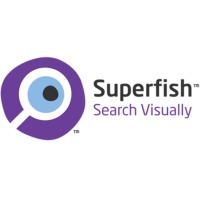 Superfish is your typical piece of AdWare. It runs in the background on your computer and when you go to a webpage Superfish injects pop-up ads in to the page you’re looking at. It does this on all pages, regardless of whether they use HTTPS. In addition to being annoying and malicious, this was also poorly done. 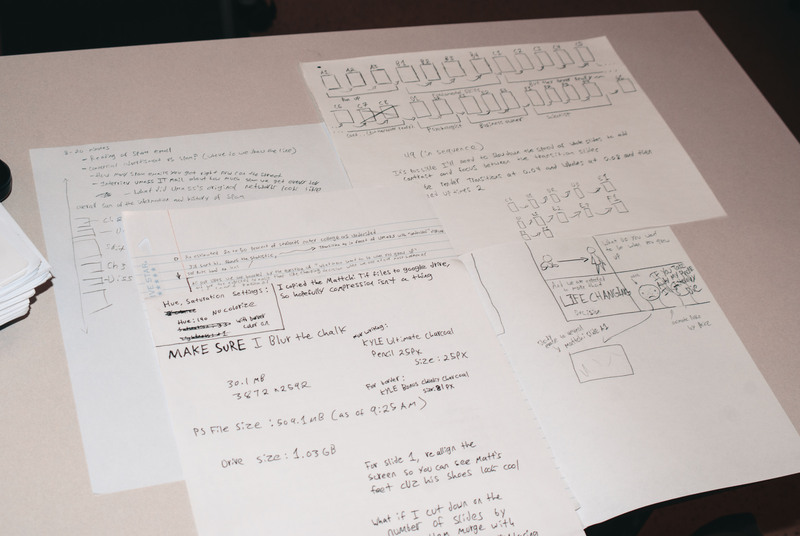 Superfish installed all of its root certificates using the same password, which this man figured out in 3 hours. 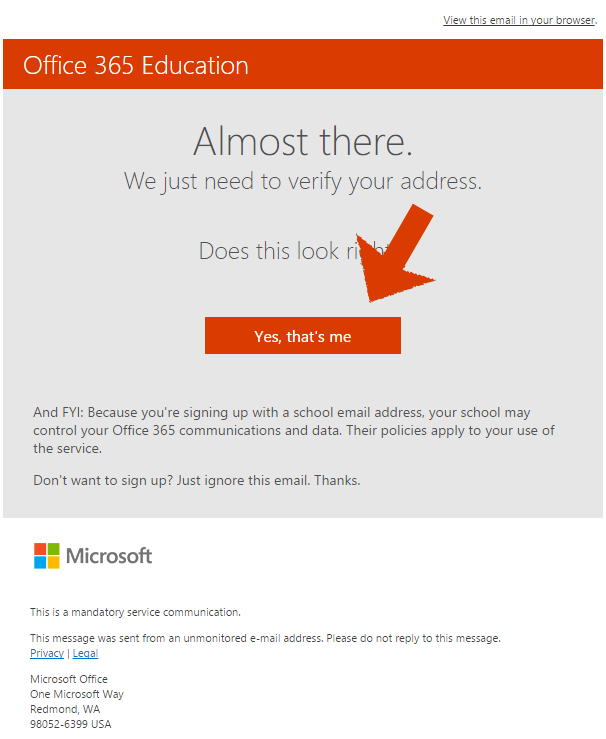 That means that if your computer has Superfish installed, you could be vulnerable to a phishing attack or anything similar since anyone can take Superfish’s certificate and pretend to be a website they aren’t. 2. Go to Window’s search function and look for “Manage Computer Certificates.” Go into Trusted Root Certification Authorities, and delete the Superfish cert. 3. Finally, Firefox and Thunderbird also need to have the certificate removed manually. See the Lenovo article for instructions on how to do this. You’re done! 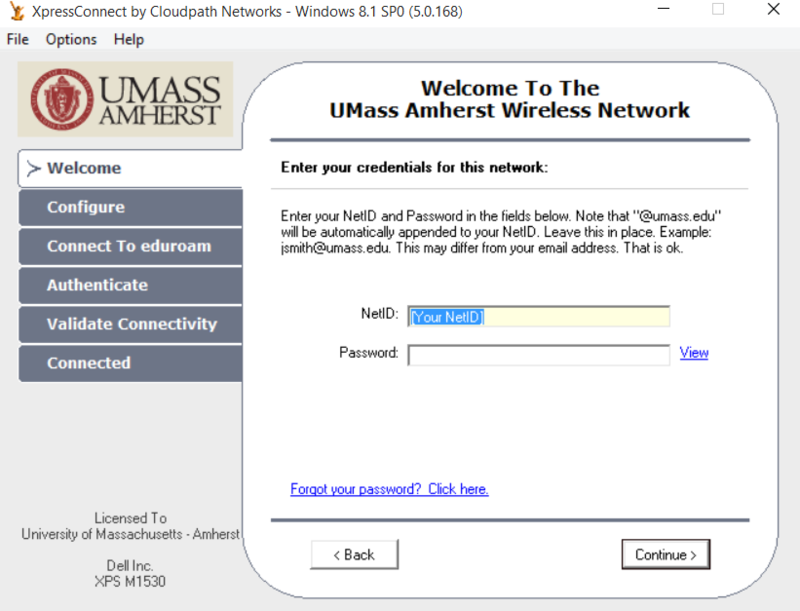 Remember to keep all your software up to date, and always feel free to come to UMass IT for help with security or anything else you might need. This entry was posted in Operating System, Security, Virus/Malware, Windows and tagged Lenovo, Superfish on March 6, 2015 by arpower. A couple of weeks ago I decided that it was time to advance to the modern era, and migrate from the trusty old flip phone I’d been using for years to a modern smartphone. Thus, the all-important question came up: what phone should I get? Nowadays there is a vast array of smartphone options for me to choose from. I could get an iPhone, a phone that seemingly everyone around me had. I could get an Android phone, whether it was a Sony Xperia, a Google Nexus, a Samsung Galaxy, or any one of the other infinite amount of Android devices. Most people could pick from one of those two categories, an iPhone or an Android phone, and be completely satisfied. This entry was posted in Operating System, Windows on January 14, 2015 by cwijesundara. This entry was posted in Operating System, Windows on October 31, 2014 by Joseph Howard. This entry was posted in Library, Linux, Mac OSX, Operating System, Software, Web, Windows on October 10, 2014 by jtravagl. This entry was posted in Operating System, Security, Virus/Malware, Windows on September 25, 2014 by agsheppa.